Here is an old Spanish town in Extramadura with most of its midevil city walls still standing and all four of the old city gates! 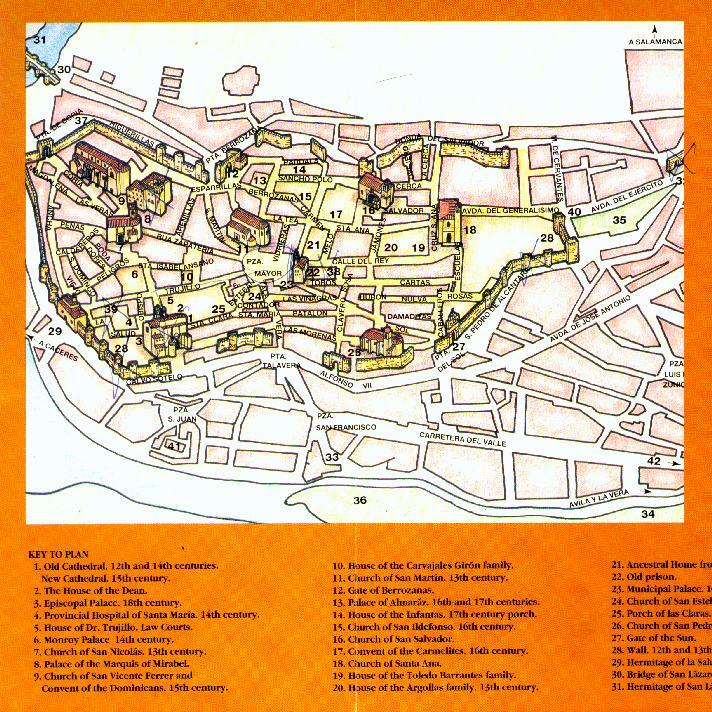 This nifty map below gives you a good idea of the layout of the city and also a little 3rd dimension of some of the old buildings (mostly churches) thrown in. At the bottom (#34 & 36) is a nice island park in the river that the community has nicely developed for the kids sports and weekend family picnics. 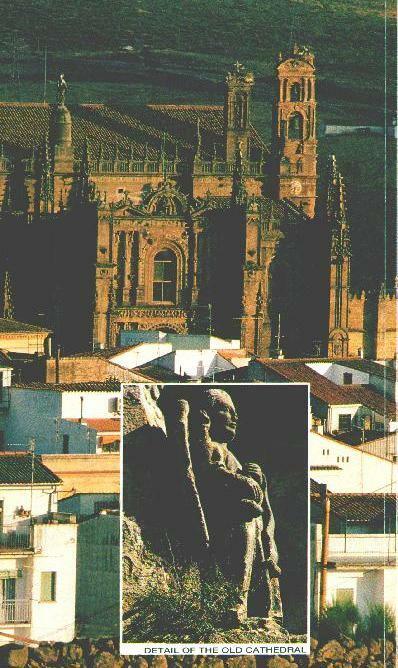 Below left is their Cathedral church of Santa Maria. There is an "old" cathedral and a "new" cathedral so I hope I have the right name. These buildings are in pretty good shape for being 600 years old. As you can see in the upper right, the city has converted the center of their plaza mayor into an nice area for sitting and visiting and thats where you'll find the old folks in the morning and the younger set at night. In the afternoon in is usually a little too hot. I myself believe they should plant some trees there. The lower right picture is the Palace of the Marquis de Mirabel I believe.